It seems like every few months, some new food trend sweeps its way through the city. In the last couple of years we’ve had stuff like poke, chicken and waffles, Japanese cheesecakes, and sushi burritos. 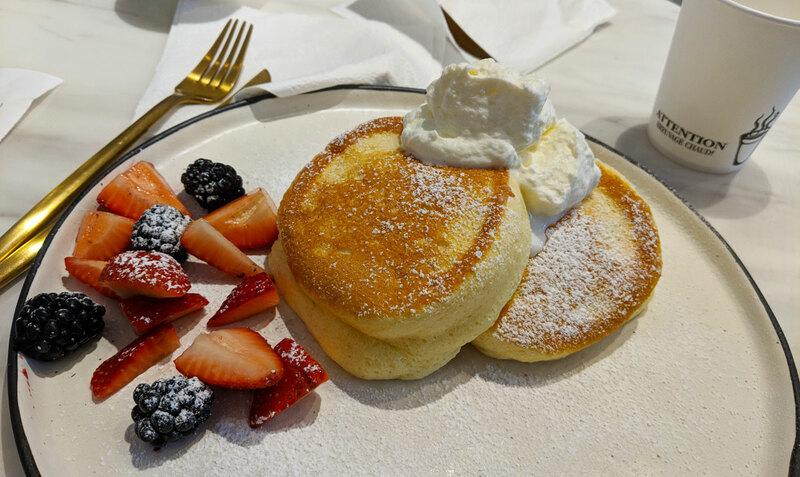 The latest seems to be souffle pancakes, a Japanese dessert that’s exactly what it sounds like (a cross between pancakes and souffle). 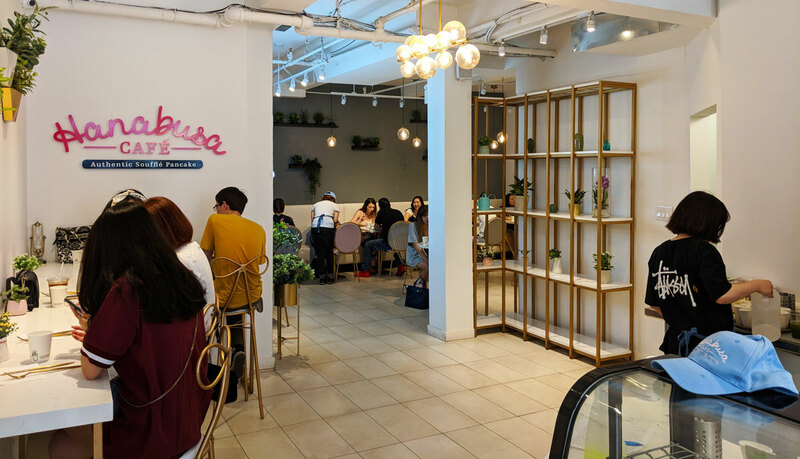 If what they’re serving at Hanabusa Cafe is any indication, this is a trend that I can get behind. My only other experience with this dish was at a place called am.pm in Hong Kong, and that version was dense, overly eggy, and just all-around unappealing. 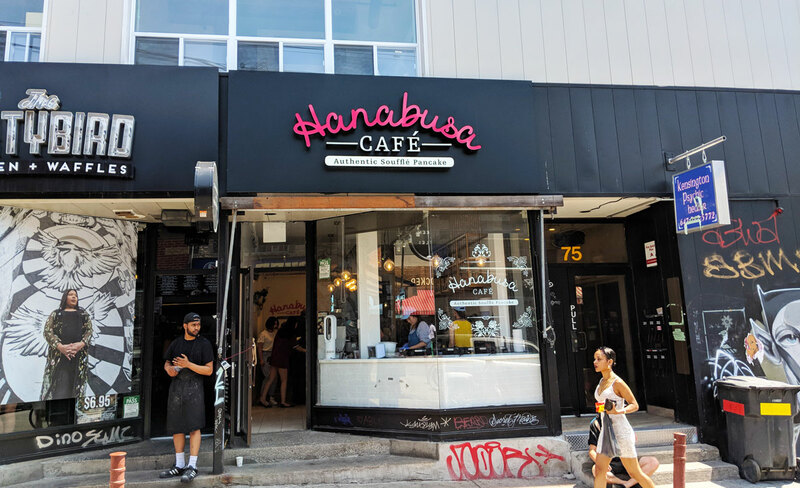 The one at Hanabusa Cafe, on the other hand, was the polar opposite — it was almost absurdly fluffy, with a mild sweetness and a satisfying custardy flavour without any of the in-your-face egginess you might be expecting. I ordered the Original Pancake, which is the simplest choice: it’s three pancakes topped with a dollop of whipped cream and served with a side of strawberries and blackberries. It’s outstanding. Unlike a traditional pancake, it’s already fairly sweet, so it’s perfectly delicious on its own. I could eat about a million of these (though they’re surprisingly heavy, so three feels like a good number). The ethereal lightness combined with the custardy flavour is seriously addictive. I’ll admit that my expectations weren’t all that high, but I really, really enjoyed this.